The Original Nike Air Jordan Skyline Tee. 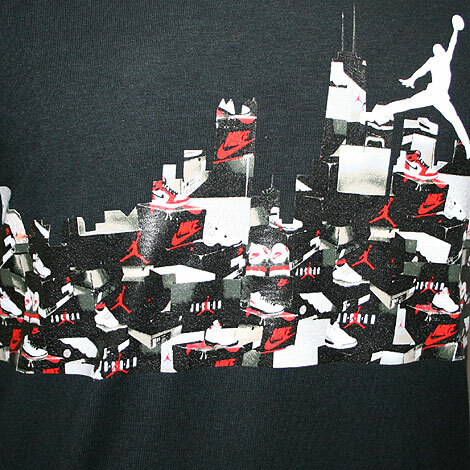 This is the amazing Nike Air Jordan Skyline Tee with a colored print on it. 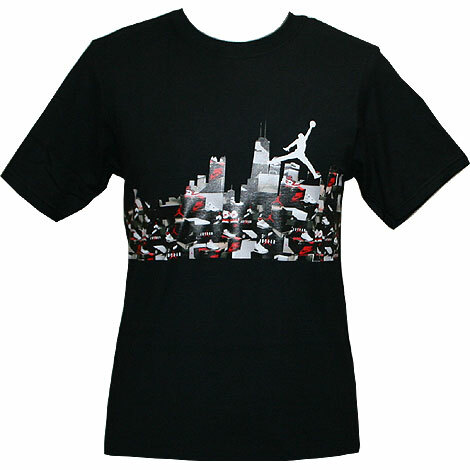 With the background of the New York Skyline modified with Jordan Shoes and Jordan Boxes in a black colourway!